I’m a moderate Democrat living in Los Angeles, California. It’s not something difficult for me to admit as I’ve luckily found a circle who agrees with me. But in my classroom and my own family, my opinions are met with waves of disagreement. My own father says he believes in gay rights being a state right, voted on by the people, to social circles in school mocking third wave feminists and advocating for gun usage. In the past, these minor disagreements might’ve been settled by an exchange of peace between those with contrasting viewpoints; both parties saying, “I have my views, and you have yours” and moving on to discussing more mundane and neutral topics such as drama in social life. But in the age of Trump, as political tensions progress, a question arises: Can individuals with a differing political compass still be compatible? The answer is a bit nuanced, specifically in today’s climate where the political almost becomes personal. When individuals take politics too closely to heart, it interferes with their own daily lives, including effects on marriages. A 2017 study conducted by Wakefield Research found that one in ten Americans have ended their marriages due to political differences. One such divorce is that of Daniel Morales, a Costa Rican immigrant living in New York. According to the New York Daily News, he remained strictly opposed to remarks of the controversial candidate, specifically those regarding immigration, while his wife supports said ideas of Trump. But still, a plethora of marriages are inter-party, mismatched spousal relationships making up 30 percent of all relationships. But those marriages also tend to be with participants who aren’t very outspoken or hands-on about their opinions. For example, during the primaries of 2012 and 2014 Democrats and Republicans were 17 to 18 percentage points less likely to vote if they were married to an independent. This lack of voting may have been due to avoidance of household conflict. But I’ve found that I’ve been able to dodge tension and conflict in my own life when discussing politics. One of my closest friends, who I will give the pseudonym Hannah for this article, is a staunch and outspoken conservative. “I can’t stand liberals,” she informed me the first time I met her. There was a major threshold we had to pass before a real, amenable relationship could be created between us. Eventually, as Hannah and I grew to know each other more closely, I had an epiphany. There’s always common ground between two individuals, no matter how different they may seem. We both supported Israel and enjoyed similar popular media such as the TV show Stranger Things and the pop singer Sia. Even though, at first, it seemed we had no overlapping ideas which agreed with each other, Hannah and I had more similar opinions than I’d initially assumed. A fate of division due to political differences proves undesirable even to those who make the personal political. I still want to have a strong relationship with my friends, my parents, and everyone who I cherish in my life even when our views directly clash. 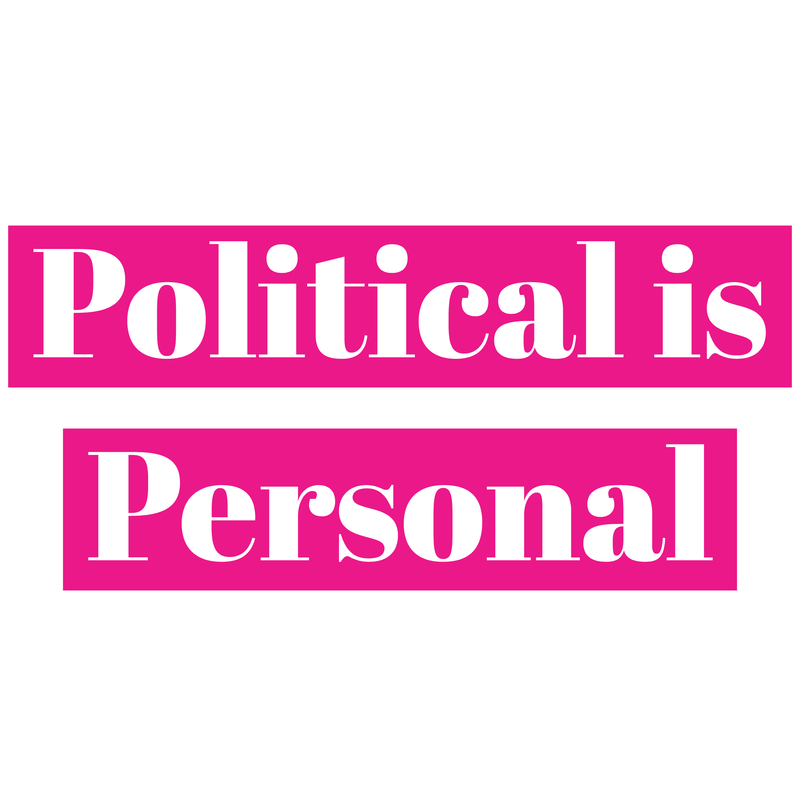 One important component to remember for me relates to the entirety of politics itself. It’s imperative to keep in mind that these people who you interact with in your daily life aren’t vessels for whom they supported. Instead, they have their own well supported, intricate viewpoints on topics, and even if you disagree with them, proper social etiquette prohibits shooting the messenger. So we end with a mutual perspective of respects for each other’s thoughts and continue on with our own lives.